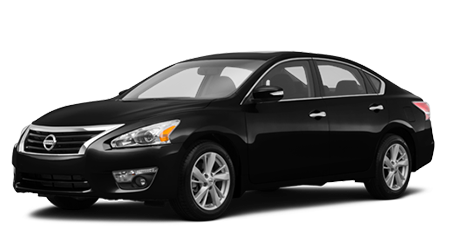 The 2015 Nissan Altima is pure perfection inside and out. Sculpted and contoured from every angle, this tech-filled sports machine has it all. So do the friendly sales folks at Tenneson Nissan in Tifton, GA. Our professional associates know that you have choices in Thomasville, Albany, and Valdosta, GA when it comes to Nissan's, so in order to earn your business, we need to put customer satisfaction as our highest priority. If you want to drive off in a 2015 Nissan Altima with a smile on your face and cash in the bank, come and visit us today! A sports sedan like the 2015 Nissan Altima needs to live up to its moniker with a strong and efficient powertrain that won't let you down. Two engines are offered -- a 182 horsepower 2.5L 4-cylinder or a healthy 270 horsepower, 3.5L V6 engine. A 6-speed CVT automatic transmission and FWD is standard, with the V6 engine adding race-inspired paddles shifters. Obviously this potent engineering packs a punch, but the 2015 Nissan Altima still delivers when it comes to fuel efficiency, with the 4-cylinder engine garnering an impressive EPA-estimated 26 city/38 highway mpg and the V6 barely behind with its remarkable 22 city/32 highway. With those kinds of numbers, you'll only be seeing gas stations in your rearview mirror! The2.5, 2.5 S, 2.5 SV, 2.5 SL, and 3.5 SL are the five models available in the 2015 Nissan Altima, each one feature-packed. The base Altima 2.5 includes standard features such as projector-type headlights and brawny dual chrome exhaust tips. Prepare for lift-off in the cockpit with a push button start, steering wheel mounted audio controls and a 4-speaker stereo system complete with a 4.3-inch color display, Bluetooth, and an iPod connection. A stay-in-your-pocket Nissan Intelligent Key and cruise control come courtesy of the 2.5 S. The 2.5 SV adds 17-inch alloy rims and NissanConnect with a larger 5-inch display and a backup camera. Leather seats with a power driver seat and a premium Bose audio system are standard on the 2.5 SL, and the V6 engine is added to the 3.5 SL. Prepare to be the envy of all your friends and neighbors when they see you pull into your Thomasville, Albany, or Valdosta, GA driveway in a 2015 Nissan Altima. We can make a deal this afternoon at Tenneson Nissan, so bring your checkbook and let's shake hands on a 2015 Nissan Altima!